Smallmouth bass is a freshwater fish species that is part of the sunfish family. It is also known as the Smallmouth, Bronzeback, Brown Bass, Brownie, Smallie, Bronze Base, and Bare back Bass. They are one of the black basses, which is a popular game fish sought by North American anglers. It is found in temperate areas, and is native to the upper and middle Mississippi River basin, the Saint Lawrence River-Great Lakes system, and the Hudson Bay basin. As they are intolerant of pollution, the smallmouth bass is a good indicator of a healthy water environment. Their habitat plays a role in its weight, shape, and colour. As its other popular names suggest, the smallmouth bass is brown in colour, although it is sometimes found in yellow. Smallmouth bass found in rivers that have dark water are torpedo shaped and are very dark brown as this is more efficient for feeding. Those living in sandy areas of lakes are more light yellow brown, to camouflage itself and are oval shaped. 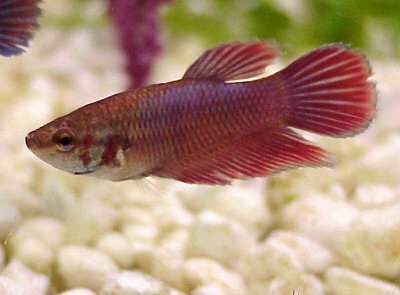 It also has red eyes, dark brown vertical stripes, and has 13 to 15 soft rays in its dorsal fin. Unlike many fish, male smallmouth bass are usually smaller than its female counterpart. Males have an average weight of 2 pounds, while females weigh about 3 to 6 pounds. 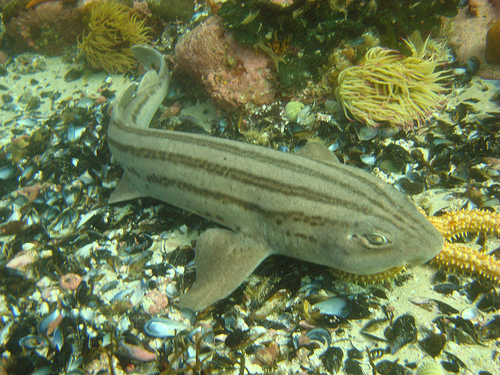 However, their average size depends on where the fish is found. For example, smallmouth bass found in America are larger because the summers are longer, allowing them to eat and grow for a longer period of time. 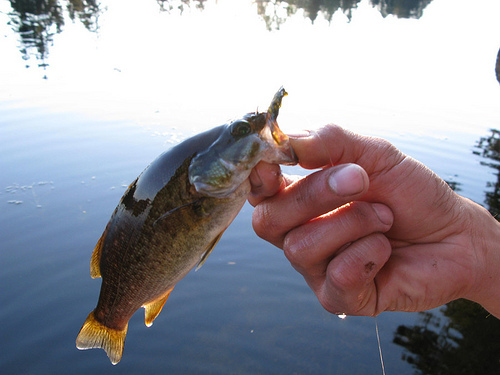 Smallmouth bass are carnivorous, so anglers may use live bait to catch this fish. 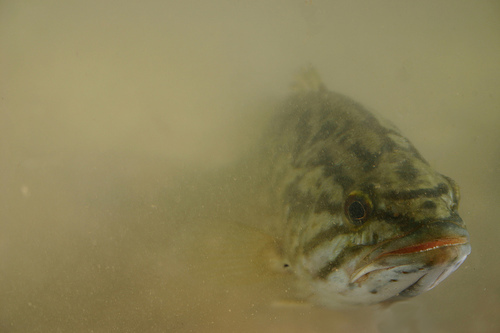 Normally in the wild, smallmouth bass eat zooplankton, crayfish, smaller fish, and insects. Anglers use live minnows, nightcrawlers, crayfish, hellgrammites, and leeches as they are thought to be the most productive baits. Many anglers also use artificial baits (also known as lures) to try and catch these smallmouth bass. These lures include plastic jerkbaits, hair jigs, crankbaits, spinerbaits, and any soft plastic lures. These fish can also be caught using fly fishing techniques. Smallmouth bass are fish that are sought after for their meat. When cookes, their flesh is firm and white.